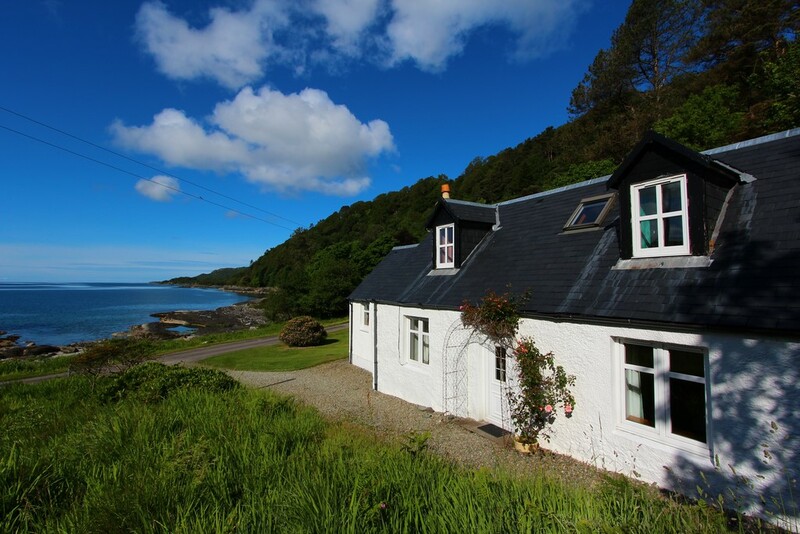 Kennels Cottage is a former gamekeeper's cottage standing on its own by the loch shore with great views down Loch Caolisport. On the ground floor there is a generous master bedroom, bathroom with electric shower over the bath, front entrance hall, large living room with open fire, WC, and a bright dining kitchen with views out to the bay in front of the house (the ideal place to watch the otters playing in the water in front of the house!). The staircase from the living room leads to two twin bedrooms. The Kennels is great for multi-generation family groups, and for those who bring canoes with it having direct access to the water.